This easy three-ingredient recipe for cancha is a popular snack in the Andean countries, often served alongside ceviche. It's a sort of popcorn made from a special variety of corn called maiz chulpe. The pointy dried kernels pop when heated, and will even jump right out of the skillet, but the inside of the kernels do not burst out and puff up like regular popcorn. 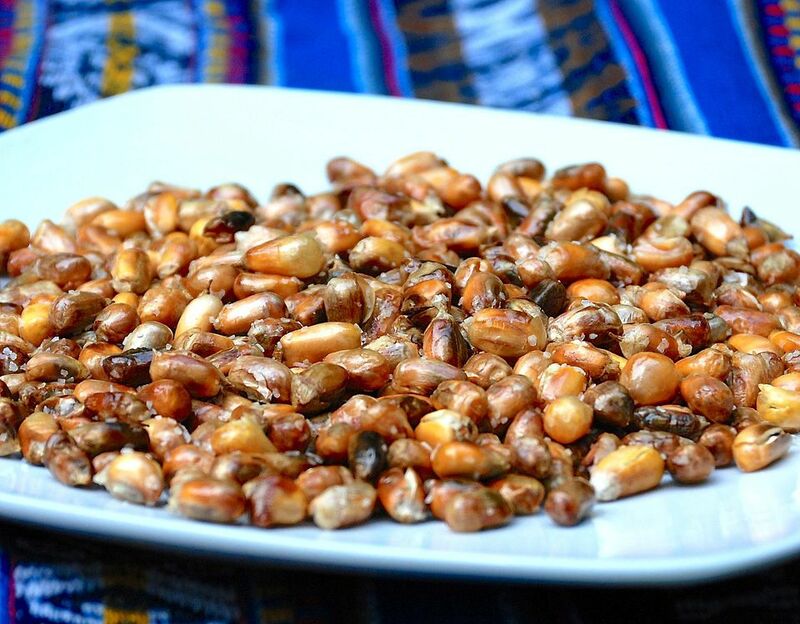 Instead, cancha corn gets slightly puffy and toasted, like corn nuts, and it has a starchy taste that is quite addictive. Cancha is easy and quick to prepare. All you need is a little vegetable oil and some salt, and a skillet with a lid. You can find maiz chulpe at Latin markets and online. Heat the oil in a large, heavy-bottomed skillet over medium heat. Add cancha corn kernels and heat, shaking the pan from time to time, until kernels start to pop. Cover the pan loosely with a large lid so that the corn kernels don't fly out of the pan as they pop, and continue to cook, stirring frequently​ until the kernels have stopped popping and are deep golden brown, about 10 minutes. Remove from heat and toss the toasted corn with salt. Serve warm or at room temperature. Store cancha in an air-tight container.